Tui Na, which means “grasp and push,” is a Chinese system of therapy that uses massage and bodywork manipulation to relieve pain, release tension, and treat common ailments. Often practiced in conjunction with acupuncture and Chinese herbalism, Tui Na is also used as a treatment to address specific patterns of disharmony and stimulate the overall flow of qi, or vital energy, throughout the body. 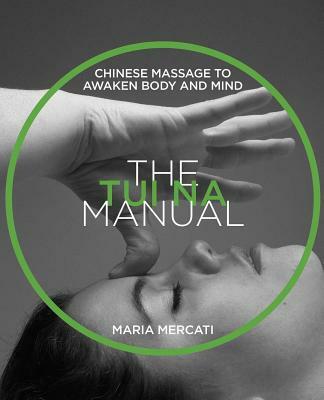 The leading authority on Tui Na in the West, with years of study in China, Indonesia, and Thailand, Maria Mercati combines the individual techniques of Tui Na into an easy-to-use method for whole-body health. Providing rich full-color photos with step-by-step instructions, she demonstrates each of the 15 unique Tui Na techniques, showing clearly where to place your hands as well as offering clear diagrams of the meridian energy channels and more than 100 powerful qi-points, where qi energy can be directly affected to restore balance and harmony. She explains how to use the qi-points to treat conditions in close proximity as well as enact healing in tender or injured regions through the use of distant yet connected qi-points. The author details how to use Tui Na treatments to relieve neck, shoulder, and back pain, sciatica, headache, and many other common ailments, treat sports injuries, and improve athletic performance. She also shows how it can release stress, re-energize the body, and invigorate the mind, as well as provide healing massage for adolescents, the elderly, and babies. Offering a healing method that requires no special equipment and is simple enough to do at home or in a chair at work, this fully illustrated guide provides a hands-on program to help yourself and others find whole-body health. Maria Mercati is the leading exponent and teacher of authentic Tui Na in the West. In 1992, following extensive research and training in China, Maria founded BODYHARMONICS®, an integrated approach using acupuncture and Tui Na for controlling pain and promoting health and harmony. She created the original whole-body traditional Tui Na Chinese medical massage program presented in this book, which she teaches and practices at the Bodyharmonics Centre in Cheltenham, UK.